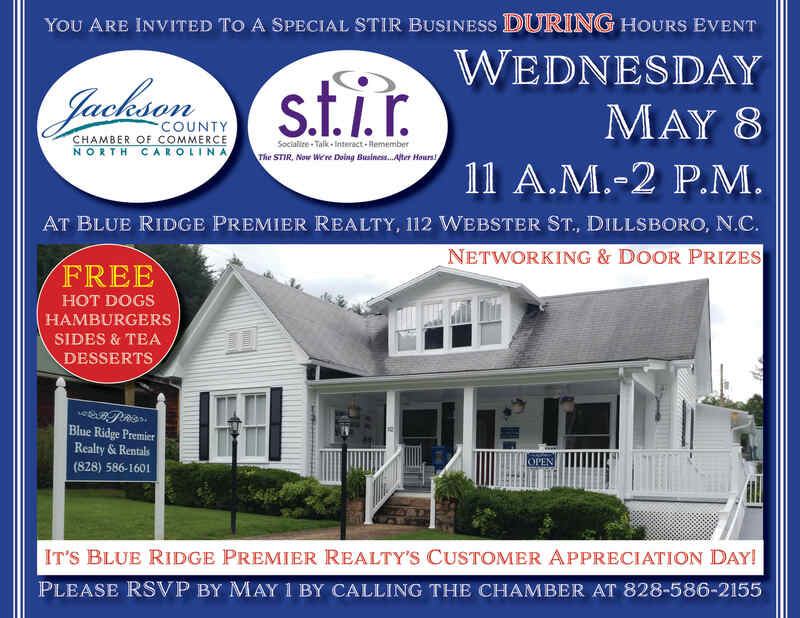 Chamber member businesses are invited to join us for our 2018 S.T.I.R. business after hours events. Welook forward to seeing you! Socialize – Starting and growing business relationships is what these gatherings are all about. Combine that with great food and drinks at the end of the business day, at a location that is eager to share something new with you, and a group of friendly hometown business people. You'll get to know fellow business leaders and owners who want to know you as well. Meet and greet in a relaxed, social setting and learn more about each other. Talk - Sharing upcoming events, business specials, and new ideas is what makes businesses thrive and grow. Maybe you’ve been wearing all the hats at your business and you’ve found some ways to streamline your day. Share your story and make a difference for someone else, and be prepared to learn something new yourself! And besides, who says it has to be all about business? Sometimes putting a personal spin on an idea can break the ice! Interact – We’re a well-rounded Chamber, with gifted members from all walks of life. Do you tend to be outgoing? Find someone who may be new or unfamiliar with the group, and introduce yourself; then introduce them to someone you know. Sometimes all it takes is that ONE thing to make a real difference for someone else – and for you too! Remember – Follow up with just one business person that you met or an old friend you caught up with at STIR. One new business connection can translate into new business. Call them up or send an email – or better yet make plans to meet them for lunch – we’ve got some terrific restaurants in the neighborhood! The STIR; NOW we’re doing business…after hours! As always, the Chamber will partner with Town and Rec Dept. to host Concerts on the Creek each Friday night from 7-9 pm, beginning Memorial Day and concluding Labor Day! Events are subject to change. Always check your invitation card. Events begin at 5 p.m. (unless otherwise posted) and last approximately 1 hour. On Thursday, April 11, the Jackson County Chamber of Commerce Ambassador team held a ribbon cutting/grand opening ceremony for our new members at The Mountain Laurel Shop. Located at 552 West Main Street in Sylva, this is a store blending the past with the present. The Mountain Laurel Shop has a wonderful variety of nostalgic candy, gifts, jewelry, custom furniture, souvenir items and much more. They are open 10 a.m - 5:30 p.m., Monday - Saturday. For more information, call (828) 631-3047, visit them online at www.themountainlaurelshop.com or like them on Facebook. From left are Ambassasdors Brett Woods, John Hagdorn, Karson Walston, Beth Bell, The Mountain Laurel Shop co-owners Chuck Colemore and Mary Mahon, Ambassadors Steve Baxley, Brandi Warner, Chad Gerrety, Colleen Sims, Natalie Newman, Matt Saenger, and Patrick Dowling.